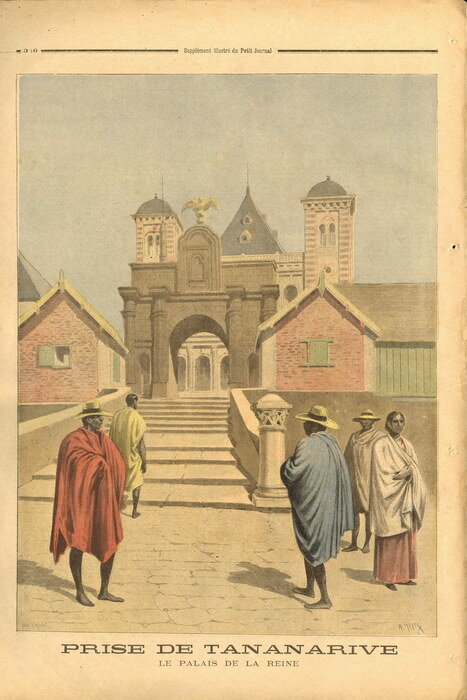 The full-page colour illustration on the back cover of this issue is entitled "Prise de Tananarive: Le Palais de la Reine" ["The taking of Antananarivo: The Queen's Palace"]. On 30 September 1895 French soldiers entered the capital city to capture it, and peace negotiations began the following day. 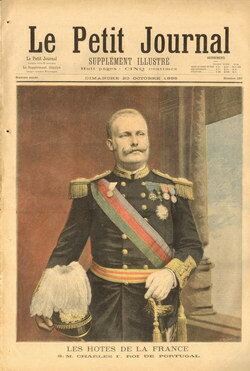 This issue of "Le Petit Journal: Supplément Illustré" was published less than three weeks later. Very Good. Somewhat yellowed and with some very minor dampstains along the folded edge.